Capitalism Vs Consumerism: What’s the Difference? 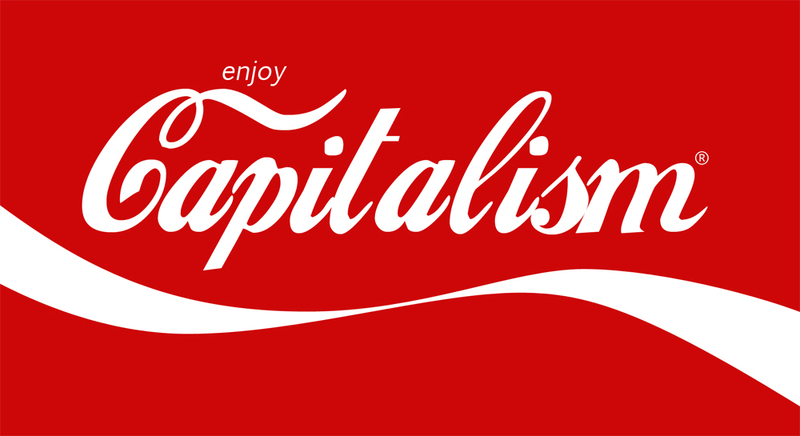 Capitalism is an economic system that encourages the production of goods and services in order to generate value, which is usually received in the form of money. The cornerstones of capitalism are the generation of wealth, accumulation of private property, and the consumer’s ability to exchange their wealth for other goods and services. In the capitalist model, production is part of a privately owned enterprise that might consist of a single individual or a huge multinational corporation. Individuals and companies enjoy a relatively large amount of freedom to generate more and more wealth, though this must obey rules of fair play and abide by the relative laws of the country in which they operate. Within this context, they may then buy, sell, and manage their properties, investments and business models as they see fit. The incentive of an individual’s ability to own all or part of the wealth that they produce ensures that they do their very best to maximize their hard work and diligence. Should an individual cheat or break the boundaries of acceptable behavior, they must be subject to punishment which is appropriate to the crime they have committed. The main focus of contemporary capitalism is the maximization of profit. This is the fundamental force that leads to increasing levels of prosperity, for those who are successful participants. In a healthy marketplace, numerous products or services will be available, all of which compete to offer the best price. The service and product providers will seek to maximize their profit as much as possible by setting their prices accordingly. In pricing their goods, sellers will need to take into account the prices set by the competition, something which will limit the maximum price they can set. An excess of products on the market will generally cause the price to fall, while not enough products will cause it to rise, thus causing market regulation. A healthy capitalist economy should allow for an equilibrium between the producers and the consumers. Consumers benefit from choice and the freedom to make their own decisions. Producers are always trying to ensure that they produce what the consumer wants most. If they are successful in this, they will be able to maximize their profits, which in turn will mean they are able to produce even more. This equilibrium ensures that producers are always trying to please the consumer by producing the best possible products at the lowest prices. This benefits the consumer, who then is able to choose the products they think are best and therefore reward the best products and producers with generation of wealth. This means that the system can operate in a self-contained manner, where no outside regulation needs to be implemented in order to ensure the producers are producing the right things, or to force buyers to buy the right products. Consumerism is the act of individuals or companies acquiring and consuming products and services. It is dependent on the goods and services being supplied by the producers and the selection or range of goods and services being offered to consumers. Since consumers will only buy the things that they need or want, consumerism shapes the way things are produced and what is produced. It also shapes the economic policies and programs of the state, as well as the laws. Modern day consumerism has shaped the capitalist system and has been hugely influenced by marketing. Consumerism is increasing year after year with consumers even turning to credit to help them to consume in ever increasing amounts. The emergence of consumerism coincided with the growth of capitalism, particularity following the First Industrial Revolution. A good example to highlight the conditions of consumerism is the department store. A consumer with the resources to buy something can go inside to find a huge range of products and services, on which they can spend their money. These goods will all be offered at differing but competing prices that will vary depending on the quality of the goods. The automation of industrial processes and a global economic system of production and trade mean that the goods in the store will have come from all over the world and will have been produced in a way to maximize the manufacturer or producer’s profit. Once the consumer buys a product, profits will then be transferred to the producers, who will then be able to spend this money to consume other products and services of their choosing. Consumerism’s emphasis on increasing levels of consumption has some huge drawbacks. Constantly consuming goods in larger and larger quantities promotes self-centered attitudes that are likely to create a negative impact on society. Materialism, where individuals place emphasis on products rather than more abstract things, such as happiness and relationships with friends and family, also can have an eroding effect on society. As mentioned, obsession with consumerism is driving many people to borrow money in order to pay for goods that they don’t always need. If their borrowing gets out of control, this can have dire consequences such as the loss of their homes and the destruction of an individual’s life. In summary, capitalism is a system of wealth generation and distribution. Consumerism is the social order that motivates the act of purchasing goods or services. According to these definitions, capitalism and consumerism are inextricably intertwined.